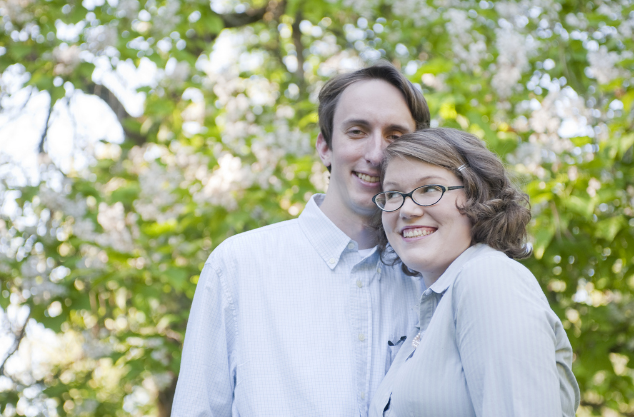 Nicholas Beaudrot and Ursula Elspeth Owen are getting married today! Nick and Ursula in the forest - a sign you're trapped in a Harlequin romance novel. If you have the urge to pose dramatically for more than four hours, please consult a doctor. May the two of you have a long and happy life together, filled with love and adventures!